Yesterday, activists from savetheinternet.eu delivered over 100,000 comments from concerned citizens right to the doorstep of BEREC, the body of EU telecoms regulators located in Riga, the Latvian capital. Their message: protect the open internet with strong, meaningful net neutrality rules. These comments were delivered in the late stage of BEREC’s public consultation on the implementation of net neutrality rules, which closes on July 18th. On the basis of this consultation, BEREC must draft guidelines by the end of August which will determine how the EU’s new neutrality rules are enforced throughout Europe. This is why BEREC is currently being placed in the spotlight: their guidelines form the final ‘make or break’ moment for net neutrality in Europe. The push for net neutrality, in addition to generating 152,282 comments and counting the push for net neutrality has been supported by internet companies and startups, as well as academics, consumer organisations and civil rights advocates. The most recent addition to their ranks are Sir Tim Berners-Lee, the inventor of the World Wide Web, and world-leading internet scholars Lawrence Lessig (Harvard) and Barbara van Schewick (Stanford), who released a joint statement on Thursday declaring their support for the savetheinternet.eu campaign. Thomas Lohninger, activist at SaveTheInternetEU, said: ‘This level of attention is unprecedented for BEREC. In past consultations, they never received more than one hundred responses. This summer that number has been blown out of the water, driving home the broad, passionate support for net neutrality with the public. BEREC needs to deliver: this could be the most important decision they ever take’. 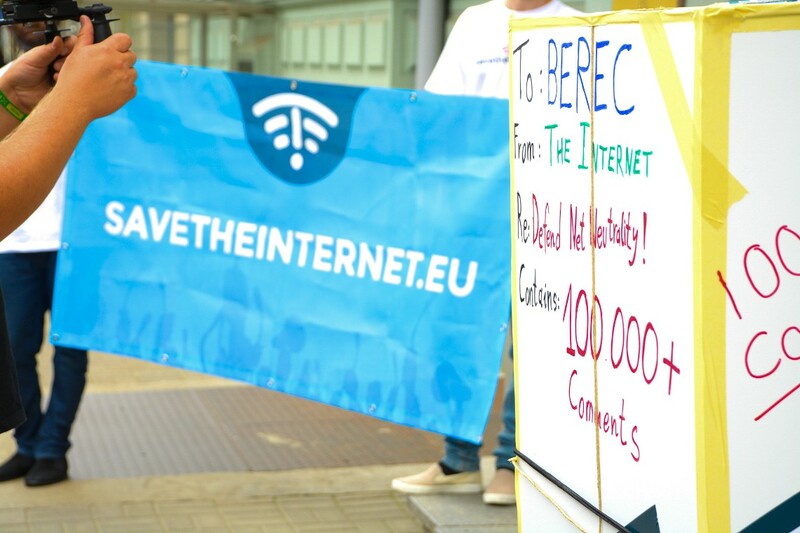 BEREC has not yet issued a response to savetheinternet.eu’s campaign or their actions in Riga.